Thinking about listing your home this spring? One surefire way to attract attention to your home and get it to stand out in the NOTL market is to increase its curb appeal. As the premier agent for all your NOTL realty needs, I would like to offer you the following tips on how you can improve the look of the exterior of your home. A fresh coat of paint on your home’s exterior is a great way to increase your value and appeal. Any potential buyer will appreciate a newly painted home and it is a definite selling feature. If a new coat of paint is not in your budget, there are smaller jobs that will also increase your home’s curb appeal. Repaint the trim around your doors and windows and other accent areas on the exterior. Paint your door. Add a splash of colour to your door to make your home a stand out. This year’s popular colour choices are red and yellow. The most inexpensive way to increase your worth is by dedicating a weekend and cleaning up your yard and the exterior of your home. When cleaning up the outside of your home, you will need to do more than just mow the lawn and sweep your driveway. Wash the windows both inside and out. Check for any damaged siding, or any areas that are in need of re-caulking. Power wash your home’s exterior, driveway, walkways and fence. 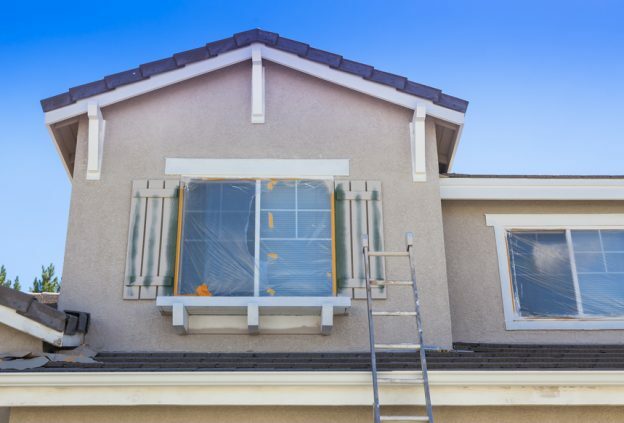 Be careful not to damage the caulking around your doors and windows or your roof’s shingles. Replace or repaint your mailbox. Add shutters to your home. Shutters are an effective way to break up a rather bland exterior wall while at the same time make your windows look bigger. To maximize their effect, try choosing a colour that contrasts that of your home’s exterior. Plant flowers in your front yard or add planters and hanging baskets to the entrance and porch. Replace or repaint your house numbers and exterior light fixtures. These simple yet effective tips will greatly improve your home’s curb appeal and make your home more attractive to prospective buyers. If you are interested in other ways to improve the look of the exterior of your home or are thinking about listing your property on the NOTL real estate market, please contact me today. I would love to be a part of your sales team. I look forward to working with you soon. This entry was posted in Blog on April 12, 2019 by Kevin Stokes.